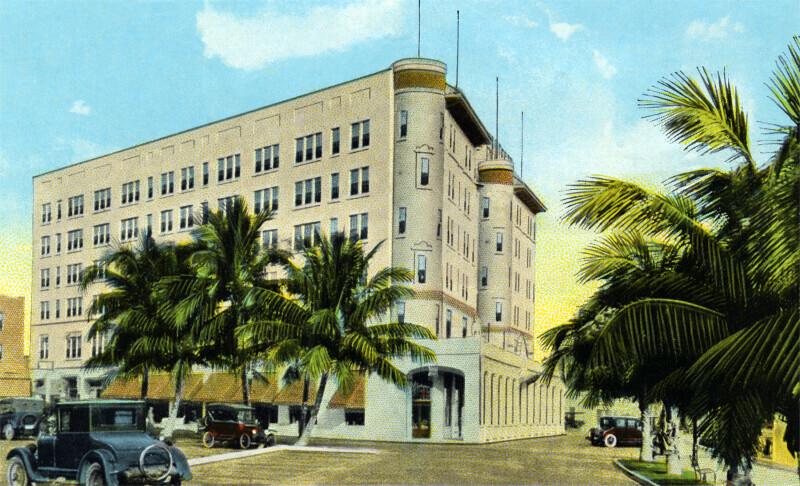 This six story building is the El Verano Hotel. The hotel has a loggia on the ground floor, along the front of the building. The nearest corner of the building is rounded, and there is a rounded section in the center of the front façade. There are palm trees growing in the are around the hotel. The hotel is next to a large parking lot. WARNING: You are about to download a 12.1 MB TIFF!